When the FBI filed a court order in 2016 commanding Apple to unlock the San Bernandino shooter’s iPhone, the news made headlines across the globe. Meanwhile, every day there are thousands of court orders asking tech companies to turn over people’s private data. These requests often require some secrecy: companies usually aren’t allowed to inform individual users that they’re being investigated, and the court orders themselves are also temporarily hidden from the public. In many cases, though, charges never actually materialize, and the sealed orders inevitably end up forgotten by the courts that issue them. As a result, thousands of innocent people are unlikely to ever know that they were the targets of surveillance. To address this issue, researchers from MIT’s Computer Science and Artificial Intelligence Laboratory (CSAIL) have proposed a cryptographic system to improve the accountability of government surveillance while still maintaining enough confidentiality for police to do their jobs. AUDIT is designed around a public ledger where government officials share information about data requests. 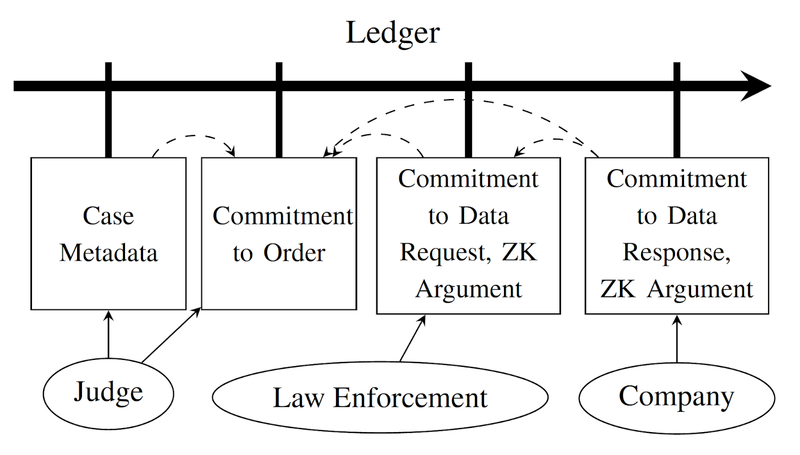 When a judge issues a secret court order or a law enforcement agency secretly requests data from a company, they have to make an iron-clad promise to make the data request public later in the form of what’s known as a “cryptographic commitment.” If the courts ultimately decide to release the data, the public can rest assured that the correct documents were released in full. If the courts decide not to, then that refusal itself will be made known. AUDIT can also be used to demonstrate that actions by law-enforcement agencies are consistent with what a court order actually allows. 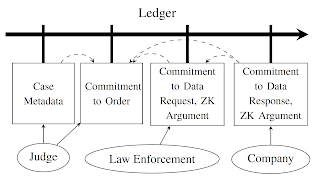 For example, if a court order leads to the FBI going to Amazon to get records about a specific customer, AUDIT can prove that the FBI’s request is above board using a cryptographic method called “zero-knowledge proofs.” These proofs counterintuitively make it possible to prove that surveillance is being conducted properly without revealing any specific information about the surveillance. As a further effort to improve accountability, statistical information from the data can also be aggregated so that that the extent of surveillance can be studied at a larger scale. This enables the public to ask all sorts of tough questions about how their data is being shared. What kinds of cases are most likely to prompt court orders? How many judges issued more than 100 orders in the past year, or more than 10 requests to Facebook this month? Frankle says the team’s goal is to establish a set of reliable, court-issued transparency reports, rather than rely on companies themselves voluntarily pulling together reports that might be inconsistent or selective in the information they disclose. 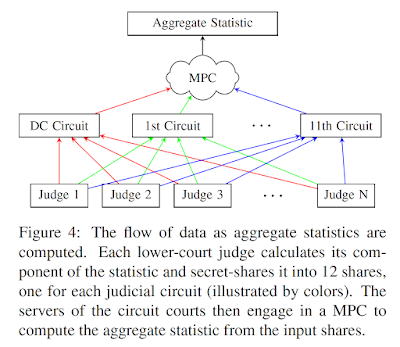 Importantly, the team developed its aggregation system using an approach called multi-party computation (MPC), which allows courts to disclose the relevant information without actually revealing their internal workings or data to one another. 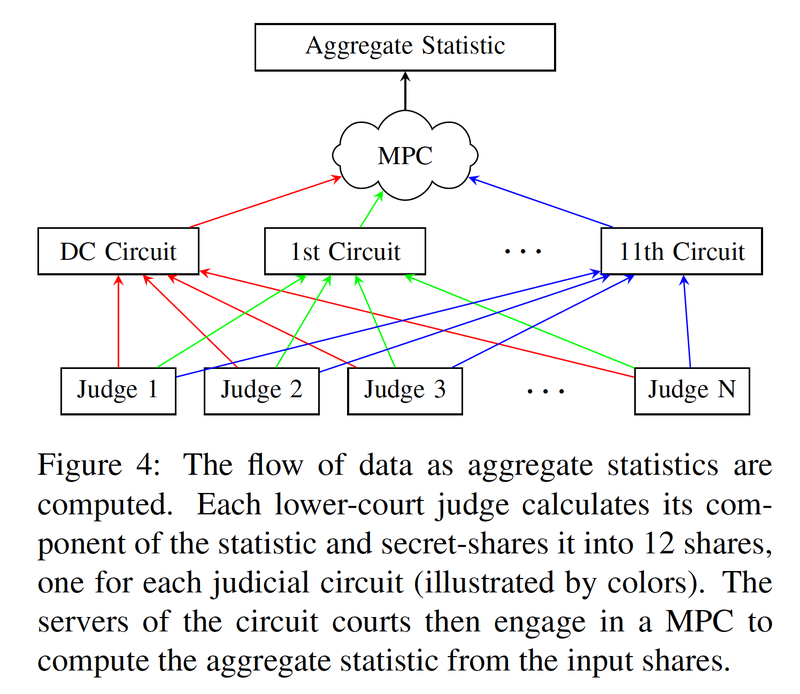 The current state-of-the-art MPC would normally be too slow to run across the entire court system, so the team took advantage of the court system’s natural hierarchy of lower and higher courts to design a particular variant of MPC that would scale efficiently for the federal judiciary. Frankle co-wrote the paper with MIT professor Shafi Goldwasser, CSAIL PhD graduate Sunoo Park, undergraduate Daniel Shaar, and a second senior author, MIT principal research scientist Daniel J. Weitzner. The paper will be presented at the USENIX Security conference in Baltimore August 15-17. The research was supported by the MIT Internet Policy Research Initiative, the National Science Foundation, the Defense Advanced Research Projects Agency and the Simons Foundation.